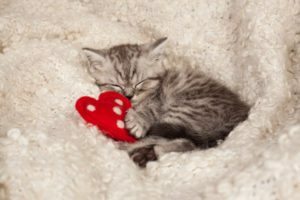 Valentine’s Day is not traditionally linked to pets but we like to think of it as a reminder of how we, as pet owners, can properly show our pets how much we care. Pets don’t want to be wined and dined in fancy restaurants. They don’t want Valentine’s Day bunches of roses (unless they’re digging up rose bushes) or poetic love letters. And they definitely don’t want chocolate because chocolate is toxic to pets. Your love. Not the absentminded pat-on-the-head kind but the kind that gives them your concentrated attention for at least part of every day. Pets need to be played with; they need you to notice when they’re craving a belly rub or needing a walk. 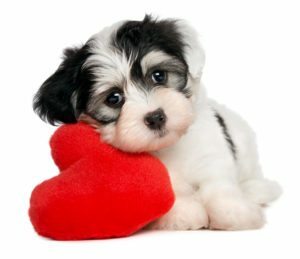 Only by fully devoting yourself to your pet’s needs can you satisfy their hunger for love. Good nutrition. Yes, good food but can be costly but then so can school fees, and dinners out and bottles of wine, and new sofas. When you take on a pet you commit to giving him or her the best possible care you can afford. That goes for his/her diet too. A nutritionally balanced, vitamin-enriched diet not only makes your pet feel good, it protects him/her from diseases which, in the long run, pays off for you too. Fewer diseases and a stronger immune system means fewer vets’ bills! Shelter and fresh, clean water. Pets need protection from the elements. Dogs and cats with white noses or ears are highly susceptible to skin cancers; many dogs are terrified of thunderstorms; heat stroke can kill. Give your pet the best shelter you can offer (think carefully about which way you place his/her kennel in terms of sun and wind) and ensure that they have a plentiful supply of clean, fresh water every day. Protection from parasites. Ticks and fleas carry a host of life-threatening diseases – from biliary to tapeworms and anaemia. The easiest way to protect your pet (and yourself) is to apply regular parasite protection. Chat with an EberVet Vetshop about protection: there is a wide range of products that protect your pet from one month to up to a year. Regular grooming. Brushing and bathing protects against hairballs, parasites and skin ailments. Prevention is always better than cure. Microchipping. Thousands of pets stray or are lost each year; microchipping is your best chance of being reunited with your lost pet. It’s affordable, quick and easy and pain-free and can be done at veterinary clinics or some animal welfare organisations. Regular exercise. As with humans, regular exercise protects against a host of diseases including heart disease and diabetes, which more and more South African pets are prone too. Take your dog for regular walks, play chase games with your cat, building obstacles in the garden for your dog to run through or jump on and in the house for your cat to climb. Annual vaccinations. It goes without saying that vaccinations protect against disease. Avoid the worst of them: distemper, parvovirus, feline leukaemia and more by keeping your pet’s annual vaccinations updated. An annual vet check. Pets can be ill for many weeks or even months without showing symptoms; they’re also good at masking pain. Don’t wait until it’s too late. 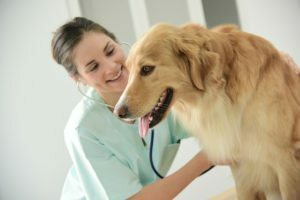 By giving your pet an annual vet check, ailments like heart disease can be diagnosed early and successfully treated. Tooth brushing. Pets suffer dental disease just like we do. Regularly cleaning your pet’s teeth will prevent the build up of tartar. Bacteria from tartar can enter your pet’s blood stream and cause far more serious ailments like heart disease.